Two summer sessions down and one to go. Undergraduate students from 16 Marine Sciences Environmental Consortium schools spent the month of June getting muddy in the marsh, trekking through wetlands, counting crabs in oysters, learning why marine animals behave the way they do, and much more. First session faculty members included visitors from the University of West Alabama, Huntingdon College, University of Mobile, University of South Alabama, and the Tropical Dolphin Research Foundation. Courses offered included Coastal Wetlands Ecology, Intro to Oceanography, Marine Behavioral Ecology, Marine Mammals, Shark and Ray Biology, Marine Biology, Marine Botany, Marine Ecology and Marine Restoration Ecology. Students appreciate the time outside of the classroom when taking summer courses. Lab time offers a chance to put what they learn in class into action. "All the different field trips we went on were phenomenal, as well as useful for understanding what we learned in lecture. Anyone that takes this class is sure to see wetlands in a different, but much more appreciated, manner than before," Troy junior Jake Harris said about his time in Dr. Lee Stanton's Coastal Wetlands Ecology course. 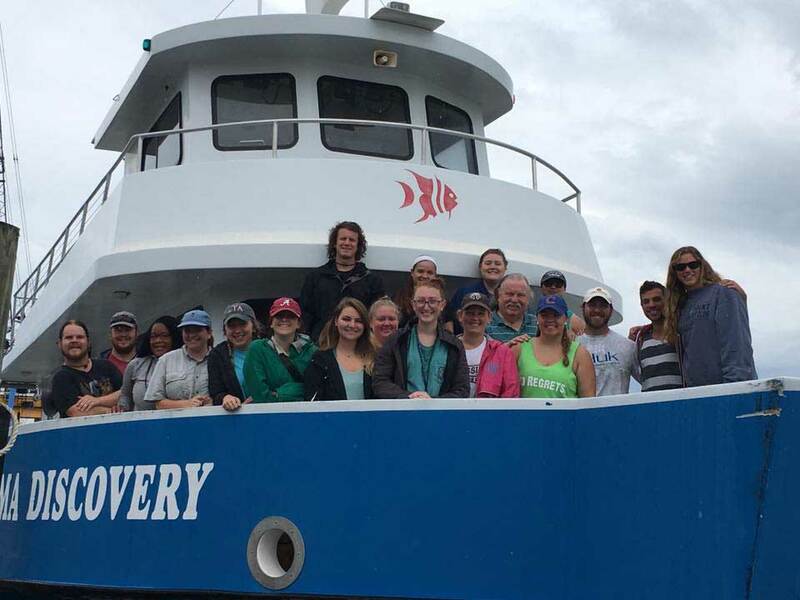 Almost all courses include a trip into the field aboard the R/V Alabama Discovery to conduct research for in class projects.